Did you know that pregnant women need 60-70 grams of protein per day in their third trimester? I didn’t realize that until last week when I got my 32 week e-mail from the hospital where I plan to deliver. I was a little bit concerned since I don’t eat meat except fish and being pregnant I only eat fish about once a week. Sixty to seventy grams sounded like a lot. I am well aware that there are plenty of non-meat protein sources out there. And in my usual diet I eat plenty of rice and beans and lentils and grains with protein, as well as eggs. But in pregnancy I kind of eat whatever I want, and lately we’ve been busy with house projects that I haven’t been cooking as much. So if I want to eat salad for lunch and cereal for dinner and some cookies in between, that’s what I would eat. Not much protein in there at all. I had a doctor’s appointment the same day so I asked her what she thought and she said that I should try to get at least 50g per day and more on other days. But if I was only getting 20g in a day, that could be an issue. Now that I’m aware of this, I’ve been paying closer attention to my protein intake and making sure I get a little bit at every meal. Soy milk has 7g of protein per 8oz serving? Lentils have 18g of protein per 1 cup serving? Ground flax seed has 3g of protein per 2 tbsp? Oats have 5g of protein per 1/2 cup serving? Almond butter has 6g of protein per 2 tbsp? Chickpeas have 7g of protein per 1/2 cup serving? Brown rice has 5g protein per 1 cup serving? Quinoa has 8g of protein per 1 cup serving? So even though I might not get 30g of protein (or however much) from eating a chicken breast, if I combine a lot of those items together it can add up to a lot. 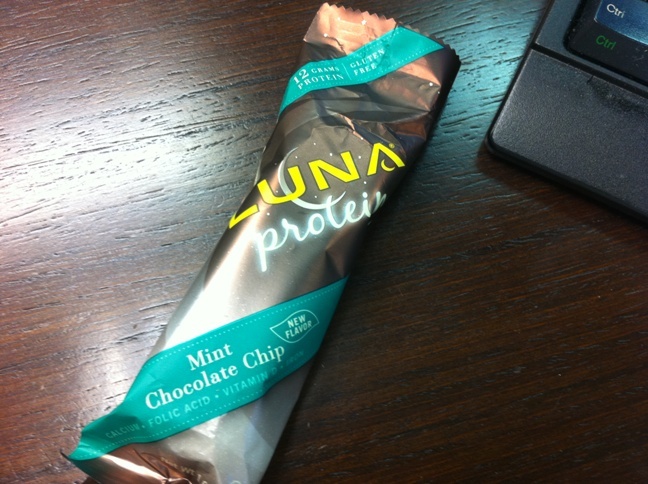 I like regular Luna bars a lot and the protein version is pretty good. It has 12g of protein per bar so it makes a great snack in the afternoon (and probably better for me than hitting the vending machine for a candy bar). The taste is much like you would expect in a protein bar. It’s very chewy. It reminds me a little bit of these Balance bars we used to eat in college after long runs. We would chew and chew and chew and chew. But the flavor is good and I like that I can just throw it in my purse. I purchased this container at Vitamin World for $18.99. I wanted to get brown rice as opposed to soy because one other tweak I’ve made to my diet is to switch my milk from almond to soy. Soy milk has 7g of protein per serving as opposed to 1g in almond milk. I want to make sure I’m not getting all my protein from soy so brown rice protein powder it is! I’ve used the Jarrow brand before and liked it, but VW didn’t have it in stock. 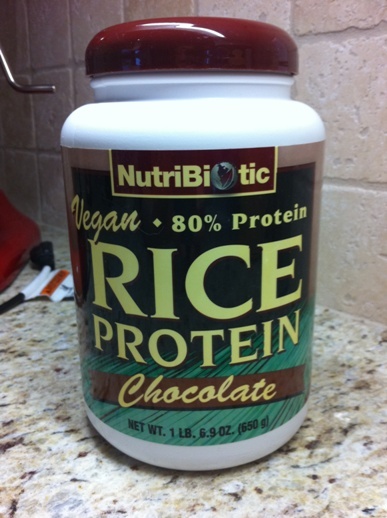 This Nutribiotic brand has 12g of protein per one heaping tablespoon. And the container has 40 servings so it will last me quite awhile. 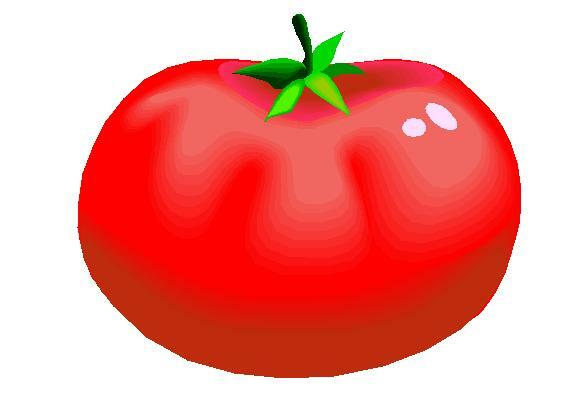 And the taste is great too! Blend everything together (I use the Magic Bullet). This concoction has approximately 28g of protein! A great way to start the day. A couple of notes on this smoothie. You can use an unfrozen banana, but you might want to throw in a couple of ice cubes or else your smoothie won’t be very cold. Also if your banana is not very ripe your smoothie won’t be very sweet so you might need to sweeten with a bit of honey, maple syrup or agave. Alright I have to get to work! Thanks Jessica! Yes Baby Boy will be here in less than 2 months now. Crazy. I will definitely check out Kristen’s Raw blog. I think I was on there once last year and remember her being pregnant. Thanks for the reminder! I struggled a lot with protein while being pregnant too. I didn’t eat meat either. In the end I had a huge, healthy baby and things worked out but I tried eating an egg for breakfast every morning, TONS of greens and vegetable proteins. Third trimester is brain development time…at least that’s what I remember when I was pregnant. Protein, protein and more protein! How about protein on a spoon? Peanut butter. Hummus. Egg salad.